Hello friends! 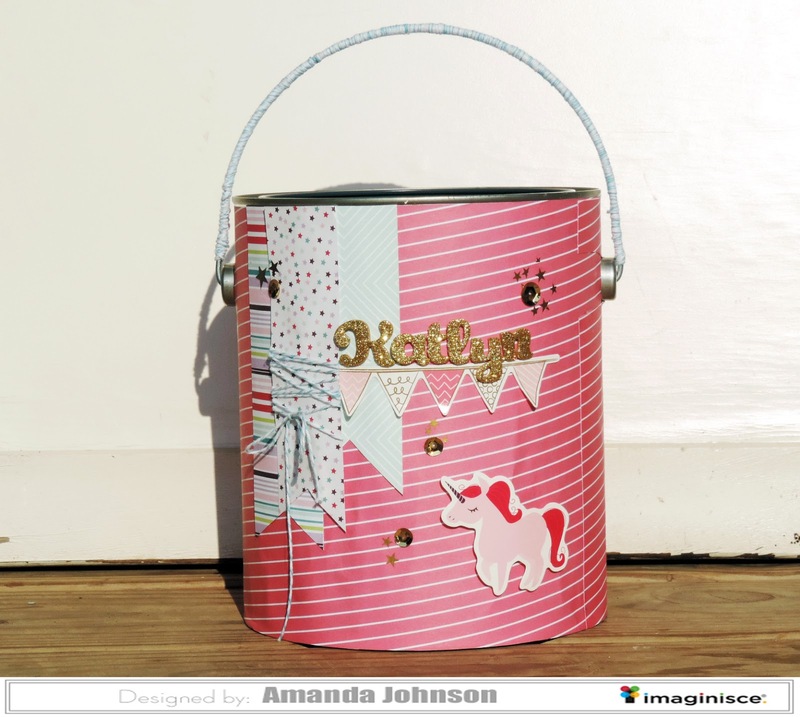 Today I am up on the Imaginisce blog with an adorable repurposed paint can using the Little Princess line! 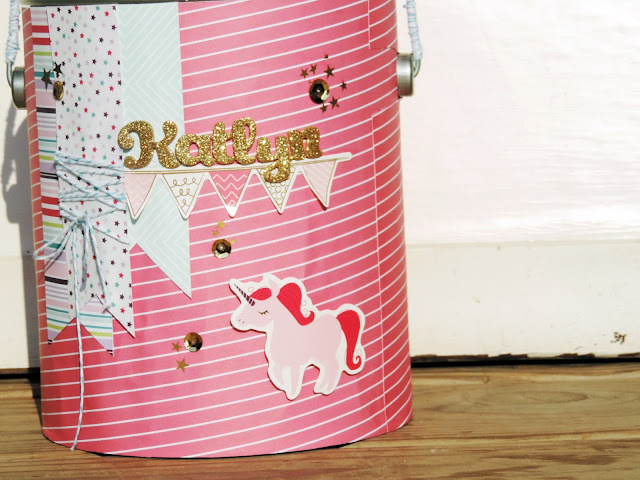 Our youngest daughter is a My Little Pony fanatic, so when I saw all of the cute colors, patterns, and unicorns in this new line, I knew that it would be perfect to spruce up this old can for her, and give her a carrier for her to cart her treasures from room to room. 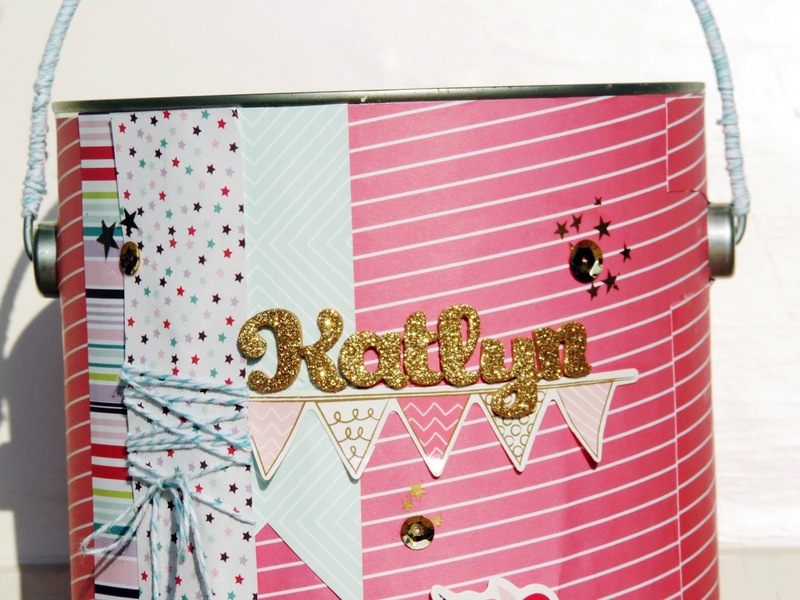 Head over to the Imaginisce blog to get a more detailed how to, and a few close ups!